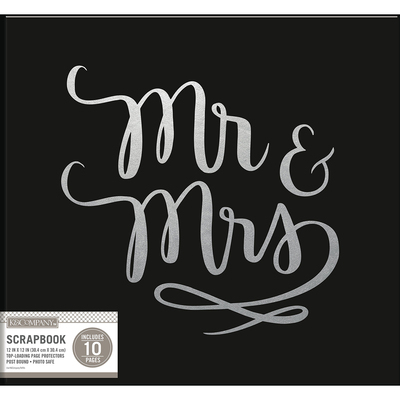 K&Company-Phrase Post Bound Album: Mr & Mrs Wedding. The Ideal Album For Holding All Your Scrapbook Pages, Photos And More! This Package Contains One 14X1x12.5 Inch Post Bound Album With Ten 12X12 Inch Top Loading Page Protectors. Photo Safe. Imported.